DJ SEVEN - Marginal Rec. After debuting at OZON (Nagoya) in 2006, DJ SEVEN has appeared in many big parties, such as appearing at ageHa 9 times, performing at HOUSE NATION sponsored by Avex. In 2010 he joined up with akinyan electro to form the creative unit “The Rhythm Rights”, creating many original and remix tracks. Covers of Britney Spears’ “3” and Drake’s “Find Your Love” have been released both through CD and iTunes. DJ SEVEN’s original track “Rising Star” was released through iTunes on July 1, 2011. 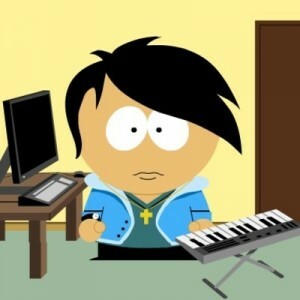 Also in 2011, he was invited by ANIME EXPO to perform a DJ set on “AX DiGITAL DANCE”. 2012 DJ SEVEN joins MarginalRec.